We are closing in on the last couple days of January, and it has been pretty interesting so to say. The new year kicked off in quite a few ways, but we all are still enjoying ourselves. Needless to say, we still have eleven months to look forward to in the meantime. Not to mention we are already waiting for the release of many things. The real question of them all is, are we going to be ready for what’s to come in the future? Even the kids are going to be interested in what’s to come, and who could blame them? While they may be on top of different factors, a few surprises might be headed their way. Especially for all of the youngsters who are huge fans of Scooby-Doo! Scooby has been around for as long as I can remember, and the upcoming generations love Scooby and the gang just as much as we did growing up. With February soon to arrive, a brand-new animated original isn’t much further behind. 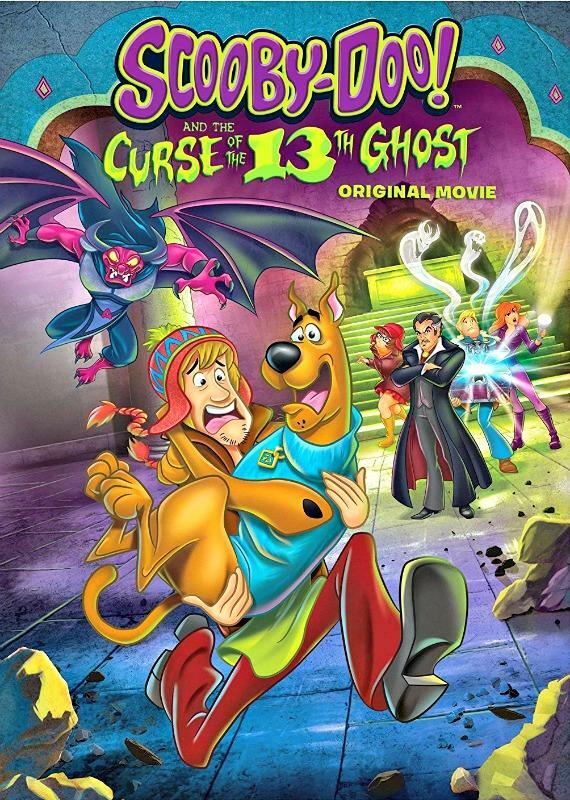 Scooby-Doo fans all over will be more than happy to know that a new film will be here soon. That’s right, February 5, 2019, Warner Bros. Home Entertainment will bring us a treat. It’s the official release date of Scooby-Doo! And the Curse of the 13th Ghost! This all-new, full-length animated film will be available on Digital and DVD. After the Mystery Inc. gang goofed up a case and nabbed an innocent man, they’re forced into early retirement from crime solving. It’s not long, however, before their old friend Vincent Van Ghoul needs help and pulls the team right back into action. Scooby-Doo, Shaggy, and Daphne secretly hunted down 12 of the world’s spookiest ghosts but failed to catch the evilest one of them all…the 13th ghost. Now the elusive spook is wreaking havoc. Vincent needs help having him captured and confined to the chest of demons, a box that contains the other 12 captured ghosts. With the 13th ghost still on the loose, the gang will have to come out of retirement and finish the job once and for all. The chest, however, is now located somewhere in a remote village in the Himalayas. Determined to help Vincent, the gang sets out on one of their most thrilling adventures yet! Bundle up and get ready for the icy slopes of the Himalayan mountains, chilling car chases, crystal balls and spine-tingling spells in this terrifyingly fun original movie! This is one title I know that the entire family would love to watch together. So clear your schedule and get ready to plan a movie night fit for a wild mystery with the gang.